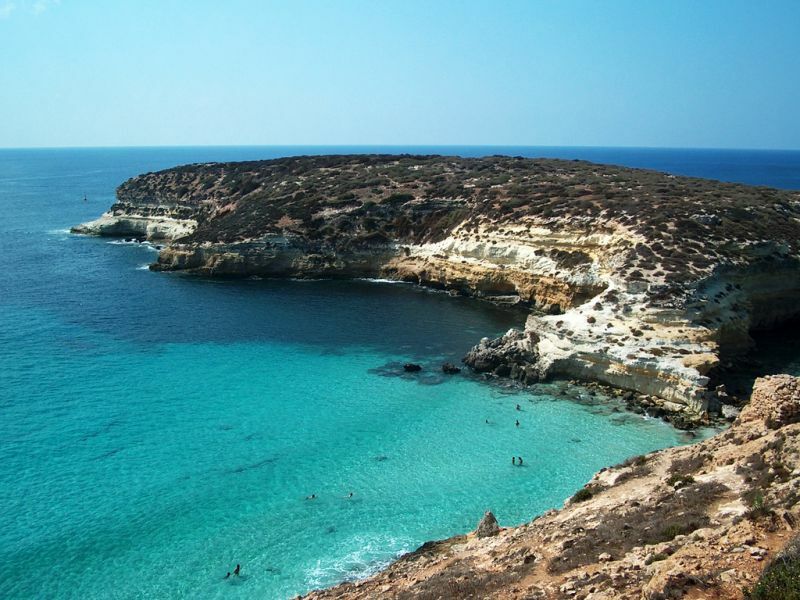 The magnificent clean waters and sandy beaches account for the main attractions of Lampedusa, a rocky island with little farming and not so fertile land at present to explain how its economy is run. The island attracts the wealthy looking for a charming place and thousands of refugees who arrive at the island escaping hunger in Africa. The figure is shocking and repeats year after year. Sadly solutions to this crisis do not appear and the Libyan and the Italian government and the UN Refugee Agency do not reach a deal. The tourist information office located on Via Vittorio Emanuele is very helpful as to informing visitors. 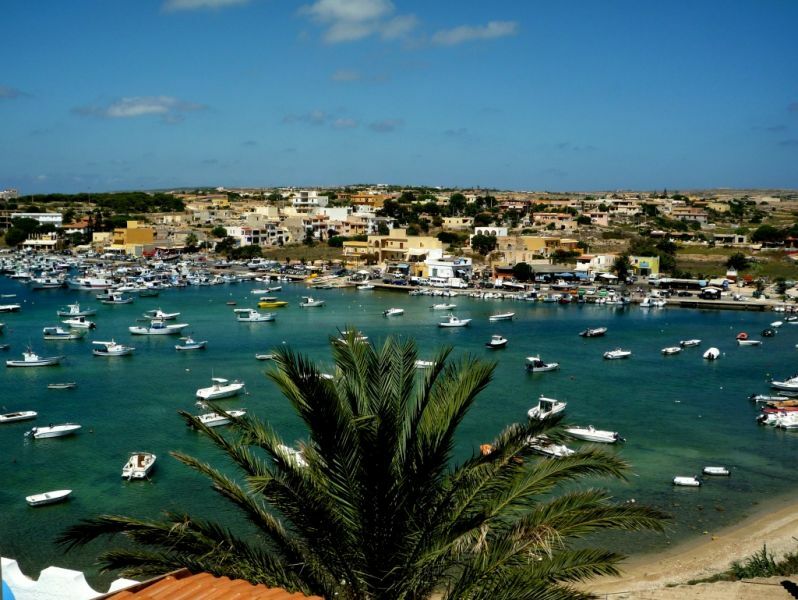 Most activity on Lampedusa develops in the maze of lanes of town. You can also head for any of its beaches among which is Cala Croce, or Isola dei Conigli in the south, reachable swimming, strolling the beach when tide is low or by scooter. It belongs to a reserve where the loggerhead sea turtle has its egg-laying area. These shy animals only appear if everybody is out of sight. The Santuario di Porto Salvo is a little church located in the centre of the island. Here the Madonna di Porto Salvo is kept until each procession held annually in autumn to celebrate the 1843 settlement of Lampedusa. The pristine waters of Lampedusa are filled with different schools of fish which makes diving an attractive activity to do in Lampedusa. Lo Verde Diving and Mediterraneo Immersion Club located in the pot can rent equipment and set up diving. Prices are less affordable than in any other Sicilian corner. Tourists mostly savour the great fish served on the island. Al Gallo d’Oro (Via Vittorio Emanuele) serves simple affordable dishes. Da Nicola on Via Ponente also offers simple dishes based on fish. Head for Trattoria Pugliese (Via Cala Pisana) for a change: Pasta dishes with a north Italian touch. Le Mille e Una Note on Lungomare L Rizzo focuses on Arabic and North African couscous and semolina dish. Gemmelli (Via Cala Pisana) features an excellent long list of fish dishes and great atmosphere. 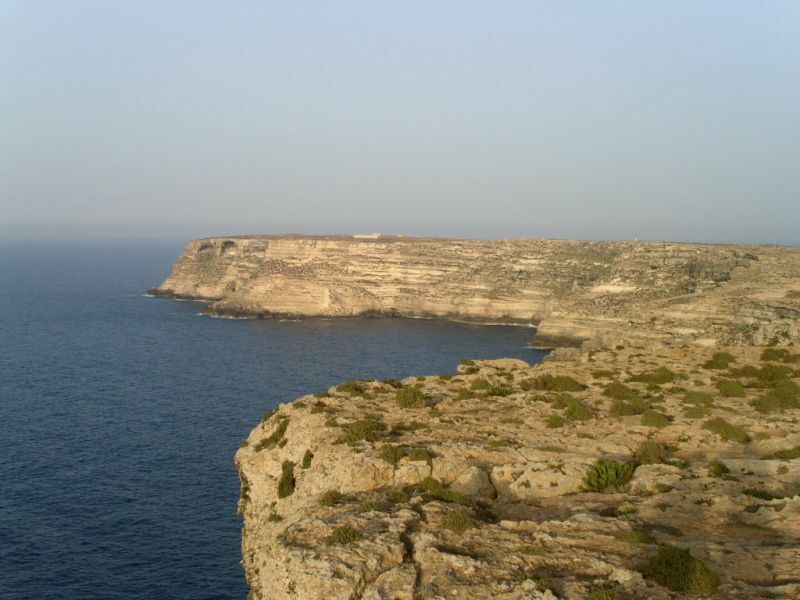 BY PLANE: the airport is just outside Lampedusa town. ON FOOT: the best way to get around and even to get from the airport to your accommodation. BY SCOOTER OR BICYCLES: they can be rented at the docks at Porto Vecchio . BY BUS: the bus terminal is on Piazza Brignone in the centre. The buses departing from here lead to the different beaches on the island.